Packing on solid, lean muscle is surprisingly difficult. Many weight gain supplements trick people by offering no more than an expensive, sugar-laden placebo. The result is weight gain, but in fat poundage, not muscles. That’s why it’s vital that prospective buyers get informed about what does and doesn’t work. 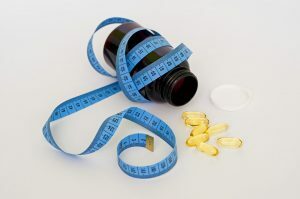 In this article, we will identify the top 6 weight gain pills, or supplements, that will actually help you to gain real, muscular weight. We’ll also provide you with a buyers guide and FAQ to ensure that you don’t fall prey to the rip off merchants. Naturally, our top weight gain product has got to be a creatine product. We’ve gone with Cellucor Cor-Performance Creatine. The Cor-Performance Creatine by Cellulcor is a micronized form of creatine, meaning that it has been broken down into its smallest components. This allows it to get into your bloodstream faster. Cor-Performance provides you with pure, unadulterated creatine. There are no fillers or additives in this product. It is unflavored, so it doesn’t have much in the way of taste, but it is easy to take with water. The unflavored nature of this product also means that it can be stacked, or combined, with a range of other products very easily. This 100% creatine product will boost your strength and endurance, providing 5 grams of creatine per serving. You shouldn’t get any bloating problems with this product and there is no need to go through a loading phase at the start. Cellucor Cor-Performance is a good value creatine product. Each 380 gram tub contains 72 servings at 95 grams per serving. This creatine is not blended with beta alanine, which would have given you an even better product. The Optimum Nutrition Branch Chain Amino Acid (BCAA) product provides anticatabolic (muscle wasting) and anabolic (muscle building) support to allow you to kick-start the synthesis of protein after your workout. Optimum Nutrition BCAA provides you with the scientifically preferred ratio of leucine to isoleucine to valine of 2:1:1. This allows the extra leucine to be utilized for fast muscle growth. In addition to supplying you with 5 grams of BCAAs, every serving of this product also delivers 15% of the RDI of Vitamin C and magnesium, as well 100 mg each of sodium and potassium. It also includes products that are designed to boost the immunity, such as rhodiola and Wellmune. The product is also high in electrolytes. These ingredients also increase focus and training intensity. The taste of Optimum Nutrition BCAA is not going to be to everyone’s liking. It is a sweet cherry flavor. The Now Sports Beta Alanine product contains carnosyn-branded beta alanine, which is used to boost intramuscular levels of carnosine in the muscles. This is a patented version of beta alanine that stays in the bloodstream longer than standard beta alanine. 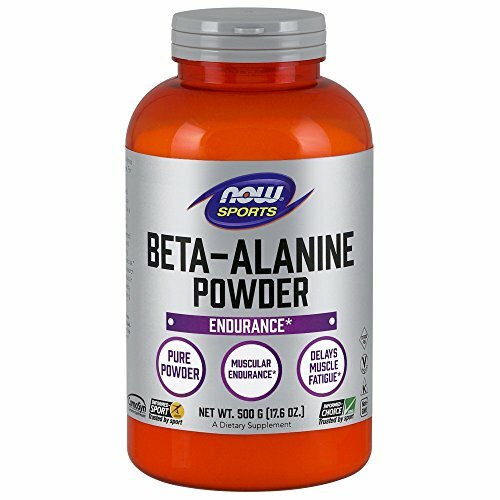 Now Sports Beta Alanine mixes well and does not leave any residue or clumpiness. This is an unflavored product, so it can be easily mixed with other products. It goes well with water, but you might want to flavor it up by adding it to some juice. You will know that your beta alanine product is working when you feel a tingling sensation and you definitely get that with this one. It will take a few days to build up in your system but will then give you a noticeable boost to your workouts. The product in the tub may be quite clumpy, requiring you to break it up before use. 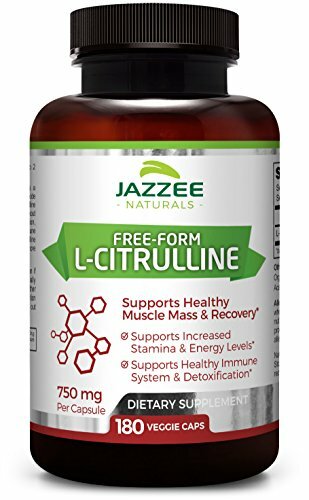 You get enhanced Citrulline thanks to the fact that it is derived from JAZEE Free Form L-Citrulline Malate. This form of L-Citrulline has been scientifically proven to be more bioavailable than other forms. This makes it more easily absorbed by the body. This product will speed up your recovery time post-workout, supports the building of healthy muscle, and promotes increased stamina. There are no fillers or artificial ingredients in this product. Nor are their any binders or excipients. Other brands include these things, but NOW does away with them by using a proprietary, organic, all-natural blend. Some users may prefer to have a pure citrulline product without the added malate. You get nothing but 100% pure glutamine with Optimum Nutrition L Glutamine. A single tablespoon of this product provides you with more glutamine than four jumbo eggs or a 4 oz chicken breast. 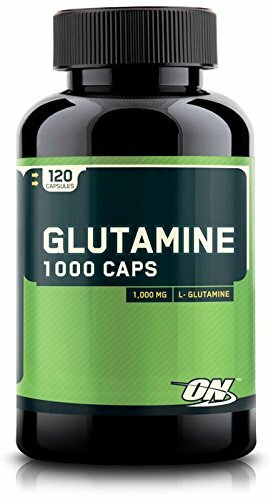 ON Glutamine will mix easily with nothing but a spoon. There is no clumpiness or gritty residue with this product. This is a flavorless product, which makes it ideal for mixing with other products. You can add it to fruit juices, protein shakes, or your favorite weight gain shake. Quite a few reviewers reported not noticing a difference in terms of muscle growth results. The Mr. Hyde Pre Workout from Pro Supps is a powerful blend of potent thermogenic, stimulant, and nootropic ingredients designed to get you hyped for the best workout of your life. A key ingredient is the branch chain amino acid leucine, fortified by agmatine sulfate to provide an awesome muscle pump by increasing blood flow to the working muscle. 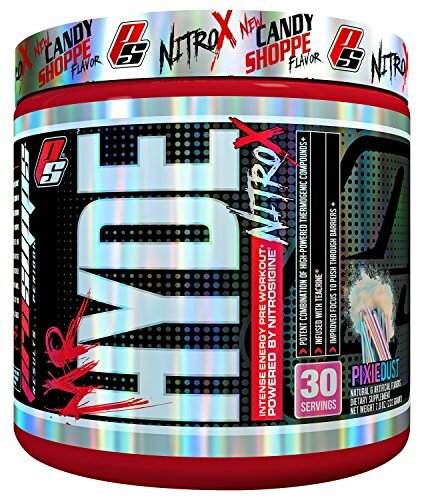 With Mr. Hyde, you also get a generous dose of creatine nitrate to boost your body’s ATP activity in order to help you to get in more reps with more weight. This product is high in stimulants, including caffeine. For some people this may lead to an energy crash after about an hour. Others may experience such reactions as tingling, jitteriness, or headaches. If you are sensitive to stimulants, you should avoid using Mr. Hyde. Every month it seems that a new muscle building breakthrough supplement ingredient appears on the market. Inevitably it will be marketed to the max, with some ripped, steroid-enhanced bodybuilder claiming that it was this product that got him where he is. The majority of them don’t work. The following guidelines will help you to look behind the hype and focus on what really works. The muscle building/weight gain business has been around long enough for us to establish which ingredients actually work in terms of weight gain. Of course, nothing will help you to put on muscle unless you are also working out intensely. Once you’ve got that part sorted, here are the products that you need to be building your weight gain pill regimen around. Creatine is the one supplement that is universally accepted as being effective at promoting lean body mass and strength. Creatine monohydrate is a naturally occurring chemical that’s one of muscle’s main energy sources. By ingesting it, we can supersaturate our muscles with it. This makes our muscle cells stronger and allows them to recover faster. 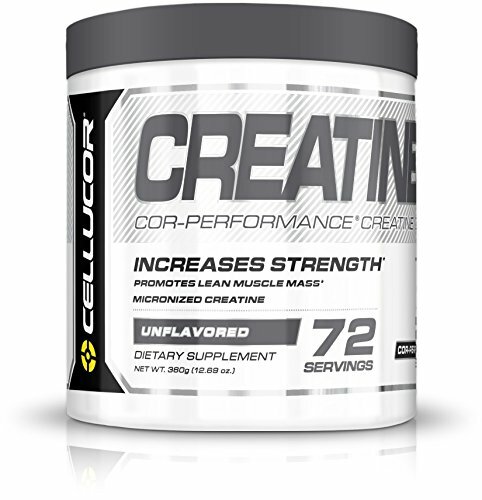 Creatine also causes the cell to hold more water, which promotes protein synthesis. When we train with weights or do any other type of anaerobic exercise, we rely for energy on the ATP molecule within the muscle cell. Stress in the muscle cell during training causes one phosphate to drop from ATP. When this occurs, the energy producing ATP morphs into ADP, which is unable to produce the strength and energy that the cell demands. The beauty of creatine is that it is able to replace the missing phosphate to return it back to its ATP state. The result is that protein synthesis is reactivated, you’re able to train for harder and longer, and you will create more lean muscle mass. What’s more, the improved rate of phosphocreatine synthesis will boost the metabolism to turbo charge the fat loss process. Bottom line on creatine; it will help you gain mass, lose fat, and allow you to recover faster. It is recommended that you take 5-10 grams of creatine per day. The Brach Chain Amino Acids (BCAAs) are the amino acids L-Leucine, L-Isoleucine, and L-Valine. They are used more readily by the muscle tissue of your body than other amino acids. BCAAs are necessary post-workout to get your body out of a catabolic state. The branch chain amino acids are used by the body for energy when your glycogen stores are depleted instead of muscle tissue. BCAAs also play a key role in the action of insulin. 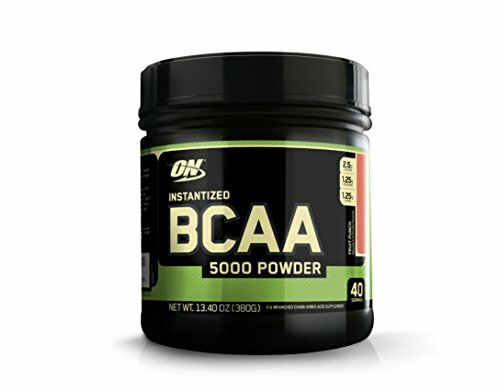 When looking at the label, you should check for the ratio of the three BCAAs. There is a lot if scientific research to back the belief that the ideal ratio should be weighted in favour leucine in the following ratio: 2:1:1. Beta alanine is produced by the human body. Despite this it has come to regarded as an much-needed non-essential micro-nutrient. It’s main claim to fame is its ability to stimulate carnosine production. So what? Well, carnosine helps you to train a lot harder. When you work out hard with weights, your body increases production of hydrogen ions. These ions work against your muscle building efforts because they lower the levels of pH in the cell, causing muscular fatigue. As a result, beta alanine is great for beating the effects of fatigue during the workout and stimulating recovery after the workout. Citrulline malate , a compound based upon the non-essential amino acid l-citrulline, has the ability to lower body fat levels and induce the body to increase its production of human growth hormone. It’s popularity as a bodybuilding supplement that really works stems from it’s ability to decrease body fat and promote the release of human growth hormone, thus leading to enhanced muscle mass. Citrulline also has the ability to maintain muscle mass strength while preventing muscle catabolism. Glutamine is a protein which triggers the body’s natural release of human growth hormone (HGH). It is also involved in the production of protein. In addition, glutamine gets used up quickly when we work out, so taking it as a post-workout supplement weight gain pill makes a lot of sense. When you purchase a weight gain pill, you want the pure product with as few additives as possible. Avoid products that include sweeteners, fillers, or other additives. What is the difference between a weight gain pill and a muscle building supplement? The reality is that the only difference between them comes down to the marketing. After all, only a fool would want to gain weight by putting on body fat. So, weight gain means building muscle. Now, when it comes to protein shakes, there is a category called ‘Weight Gainers’. These are specifically designed to provide you with a massive amount of calories in each serving and are different from normal protein powders, which have fewer overall calories and even less net protein content. When it comes to supplements, though, we are talking about the exact same products in both categories, as listed in the section above. Should I also be taking a protein powder along with these weight gain pills? Yes, you should. To gain muscular body weight, you need to be consuming 5-6 meals per day. Making one or two of them a protein shake will make your life a whole lot easier. They are a relatively simple way to get 20-30 grams of muscle building protein into your body. How should I be supplementing for max muscle gain and fat loss? Supplementing for muscle gain and fat loss doesn’t have to be complicated. As long as you’ve got a quality whey protein powder, creatine, and BCAAs, you are covered in terms of muscle building. In order to lose body fat, take a high protein meal replacement. Fat burners can give you that extra edge as long as you’ve got the other bases covered. Consistency, hard training, and disciplined eating will carry you through to achieving the lean muscular body that you’re aiming for. Thanks for the great analysis and scietific explanation. 1. when is the time to take creatine, is it pre or post workout. I have a optimum pro complex gainer post workout so should i take creatine with it? 2. i am 68kg and have around 14% body fat. it is getting very difficult for me to get to less than 12% body fat but retain or increase my weight. I like your articles and trust your knowledge.